As one of the nation’s foremost experts in his field, Dr. Cheung has led hundreds of environmental and toxicological investigations, protecting thousands of occupants and saving organizations millions of dollars. A former Maryland State Medical Director, he is a faculty member at the University of Pennsylvania, Perelman School of Medicine. As a Fellow of the American College and Environmental Medicine, he is nationally-recognized as an expert in Respiratory Environmental Medicine, Plant and Indoor Environmental Quality, Risk Communication and Medical Advisory Services. Board Certified in both Internal Medicine and Preventive Medicine, he holds a Masters in Public Health from Johns Hopkins and has a medical degree from the University of Maryland. 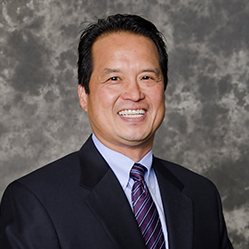 Dr. Cheung currently serves on the Advisory Panel for the Johns Hopkins Bloomberg School of Hygiene and Public Health Department of Environmental Health Sciences for their summer institute and Board of Directors for Healthy Housing Solutions, Inc. He is also the acting Course and Rotation Director for the Occupational and Environmental Medicine Residency Program at the University of Pennsylvania Perelman School of Medicine. He is in demand as a lecturer in prevention and remediation, as a scientific expert in legal and administrative proceedings, and has provided expert technical testimony to legislatures. Such activities include serving with the Maryland Governor’s Task Force on Indoor Air Quality, the Baltimore City Healthy Homes Advisory Board and completing a major epidemiological investigational study for the Department of Defense.